3/27/2014 - SCHRIEVER AIR FORCE BASE, Colo. -- The 4th Space Operations Squadron accepted satellite control authority of the third Advanced Extremely High Frequency satellite here March 21. The MILSATCOM Program Office, a division of the Space and Missile Systems Center in Los Angeles, has held SCA of the spacecraft, known as AEHF-3, since its launch Sept. 18. Robert Tarleton, director of MILSATCOM systems directorate, started the transfer ceremony by handing control authority to the 50th Space Wing via the 14th Air Force. Col. Tommy Roberts, 50th Operations Group commander, accepted SCA then promptly delegated command and control of the vehicle to 4 SOPS and its Commander, Lt. Col. Monte Munoz. "When I was in 4 SOPS we spent a lot of time preparing for AEHF, but I never saw a launch," said Roberts, a former 4 SOPS commander. "So, it's special for me to be here and witness this success. Congratulations to the entire AEHF team." AEHF-3 represents the next-generation follow-on satellite to the Milstar protected communications constellation and is designed to augment and improve Milstar's capabilities. It will provide survivable, global, secure, protected and jam-resistant communications for high-priority military ground, sea and air assets. Users include National Security Council members and unified combatant command commanders who control tactical and strategic forces at all levels of conflict, as well as international partners. Nearly identical to AEHF-1 and AEHF-2, it has eight times the capacity of a Milstar vehicle and is designed to perform its mission for 14 years. Following a four-month journey, AEHF-3 reached geosynchronous orbit in January. Since then, 4 SOPS members have been testing the satellite alongside SMC personnel. Testing included transmitting an extended-data-rate signal through an AEHF vehicle to other AEHF vehicles, something that wasn't possible with just two AEHF satellites on orbit. Using XDR, AEHF satellites can transmit data at speeds much faster than legacy Milstar vehicles, allowing users to potentially communicate via video conference. "Having three AEHF vehicles on orbit basically extends our footprint of XDR capabilities," said Lt. Col. Alistair Funge, 4 SOPS operations officer. "The operational position of the satellite, and hence its coverage area, is up to U.S. Strategic Command. We are prepared to support users and the combatant commands' needs wherever the satellite is finally positioned." As part of the brief ceremony, Munoz informed the squadron that it officially held responsibility for AEHF-3. "This was an awesome job by the entire team getting AEHF-3 to this point," he said. The fourth AEHF vehicle is tentatively scheduled for launch in 2015. 3/27/2014 - BUCKLEY AIR FORCE BASE, Colo.- -- From becoming the first military woman in space to commanding a Numbered Air Force, Lt. Gen. Susan Helms, former 14th Air Force, Air Force Space Command, Joint Functional Component Command for Space and U.S. Strategic Command commander, revealed the secrets of her success to the men and women of Buckley Air Force Base during a Women's History Month dessert social March 21. During the social she addressed reaching for opportunities, the importance of having a positive attitude and the power of women believing in themselves. "This is my favorite kind of speech to give," Helms said. "It gives me a chance to talk to other women and give you some good advice. Women's History Month is a chance to reflect on the past, along with a chance to inspire people who are going to be making history in the future." Helms' father was a Vietnam War helicopter pilot who she credits as her biggest inspiration in her decision to join the military. By the time she was applying to college, Congress changed the law to allow women to apply to the U.S. Air Force Academy. "I wanted to be in the Air Force just like my dad for as long as I could remember," Helms said. "It was one of the few places in the 70s you could get equal work for equal pay." Helms is amazed by the many opportunities that have become open to women within the past few decades, saying there is nothing women can't overcome. "When I got out of the astronaut corps, it was wonderful to see how broadly the military had become integrated," Helms remembered. "By then we had female Thunderbird pilots, female fighter pilots... there really isn't a job that isn't fully integrated. It's wonderful to see how the military embraced that and valued the diversity of both genders." Helms continued her education at Stanford University after graduating from the U.S. Air Force Academy, where she met her hero and role model, Sally Ride, the first woman in space. "When she spoke, she was super normal; was the thing that astounded me," Helms, who has performed the longest space walk for nearly 9 hours, said. "She was just an ordinary person in an extraordinary circumstance. Heroes are who you want them to be. They're not necessarily what the media or pop culture puts in front of you. Meeting her made me realize that's she's just a human being. That's when I think I realized what was possible." Helms' mother and father made sure she and her sisters know they could accomplish anything, refusing to set up boundaries because they were female. Speaking highly of the strong people that pushed her to be everything she is today, she remembers how important it is to be a great role model, especially to a young child. "Whether you know it or not, you have no idea the sheer influence you can have on someone," Helms stressed. "Your impact on this world can be very surprising. You never know how something you say is going to end up resonating and sticking with the people. Remember that it takes 10 positive comments to balance out one negative." Helms, a flight engineer before becoming an astronaut, stressed the importance of loving what you do and keeping a positive attitude. "If you do something you really enjoy and have a passion for it, you're going to be really good at it," Helms said. "The power of your dreams and the power of your goals and commitments is what really end up creating those opportunities. "Part of it is luck, part of it is timing, but part of it is being ready," Helms said. "Set yourself up for when those opportunities reveal themselves," she said. ARLINGTON, Va. (NNS) -- Hunches are 50-50 propositions, but Navy researchers want to know if those facing the unexpected in the heat of battle can be trained to guess right more often than not, according to a new research effort announced March 27. In February, the Office of Naval Research (ONR) hosted leading experts in neural, cognitive and behavioral science to synchronize their studies of intuition and translate their findings into applications for military personnel and first responders. Though the research invites comparisons to a "sixth sense" or Spiderman, what researchers hope to learn has nothing to do with the supernatural or superheroes. "Ultimately, this is about Sailors and Marines being able to harness their gut instincts in situations where they need to act quickly," said Dr. Peter Squire, program officer for human performance, training and education in ONR's Expeditionary Maneuver Warfare and Combatting Terrorism Department. "But first, we have to understand what gives rise to this so-called 'sixth sense.' Can we model it? Is there a way to improve it through training?" Sailors and Marines don't always have the luxury to take a lot of time to figure out their next move. They must rely on intuition and a rapid, unconscious interpretation of their surroundings. In addition to the recent meeting that brought together representatives from other military services, industry and university laboratories, ONR has embarked on a four-year basic research program to enhance intuitive decision making through implicit learning. A team of scientists will study factors such as memory and perception to better understand how decisions are made and whether there are ways to improve premonition through training. Detecting roadside bombs while in a moving vehicle; sensing impending danger based on something unusual at local cafe; deciding whether that object just launched off the coast is a missile or airliner - these are just a few of many scenarios where there isn't a lot of time to make a decision. "A seasoned Warfighter develops a gut instinct through experience," said Lt. Cmdr. Brent Olde, ONR Warfighter Performance Department's division deputy for human and bio-engineered systems. "If we can characterize this intuitive decision-making process and model it, then the hope is to accelerate the acquisition of these skills through simulation and scenarios; thus, providing our Sailors and Marines with years of experience in a matter of days and greatly improving their ability to make split-second decisions." These basic inquiries into intuition align with both Navy and Marine Corps leaders' plans for the future. The findings eventually could influence operations related to cyberspace, unmanned systems and other areas emphasized by Chief of Naval Operations Adm. Jonathan Greenert, whose Sailing Directions call for providing Sailors confidence, not only in their equipment, but in their own skills. In addition, Marine Corps Commandant Gen. James Amos' Planning Guide stresses small unit leadership, cohesion, innovation and education as forming the foundation of the service. "Understanding the connection between implicit learning and intuition allows us to open the doors a new set of training practices," Squire said. "That could provide our warriors a new set of skills to harness when making decisions." NORFOLK (NNS) -- Naval Computer and Telecommunications Area Master Station Atlantic (NCTAMS LANT) announced March 27 that it successfully completed its cyber security inspection (CSI) last month, receiving one of the highest CSI scores to date. NCTAMSLANT received an overall combined score of 83 for NIPRNET and SIPRNET enclaves, one of the best scores ever recorded for a Navy communications facility under phase III of the CSI program. Long months of planning and preparation by NCTAMS LANT cyber and physical security specialists, led by NCTAMS LANT Security Manager Mary Carter, were successful in ensuring that information assurance (IA) standards were at their highest levels and thus able to meet any insider and foreign threat to security. "With the overall goal of improved longterm DODIN [Department of Defense Information networks] security, and targeting the most pressing, near-term IA challenges, we tackled high risk systems by coordinating with and obtaining program manager support to correct security deficiencies," Carter said. The inspection deeply tested the IA hardened postures that guard against foreign intrusion into classified and unclassified communication systems. During a weeklong period from Feb. 24-28, a team of experienced U.S. Fleet Cyber Command/U.S. 10th Fleet (FCC/C10F) cyber professionals scanned, reviewed, and personally inspected NCTAMS LANT's communication suites, information assurance policies, physical security defenses, and cyber security work force personnel records. Among the missions of U.S. Fleet Cyber Command is to direct, operate, maintain, secure and defend the Navy's portion of the DODIN. In 2011, it established the inspection program with the goal of minimizing vulnerabilities to attacks. This inspection examines whether the IA posture is fully capable of withstanding threats that could compromise cyber security integrity and ultimately national security. Command teamwork was the primary ingredient that contributed to the success of the inspection. IA, physical security, and information technology specialists and planners, including Sailors and civilians, were integral to the effort. Careful alignment of the security and supporting infrastructure workforce was critical to the successful outcome of the CSI and to the command's continued proactive stance toward IA threats. "This success is indicative of NCTAMS LANT's high state of operational readiness," said Carter. Cyber security is essential in protecting critical communications systems and messaging that support Navy and joint forces operating worldwide. Failure could compromise NCTAMS LANT ability to deliver responsive, resilient, and reliable communications support for the warfighter. NCTAMS LANT has set the bar high for Department of Defense communications facilities, ensuring IA integrity and compliance with the latest in security measures. The command was established to combine the traditionally separate responsibilities of message traffic handling and data information management. Today, this combination of communications and computer technologies is key to ensuring the warfighter has access to the right information at the right time. WASHINGTON, March 27, 2014 – As part of the Defense Department's science and technology community, the role of the Defense Advanced Research Projects Agency is to change what's possible, the DARPA director said yesterday. DARPA makes pivotal early investments that allow the department to "take big steps forward in our national security capabilities,” Arati Prabhakar told members of the House Armed Services Committee's Subcommittee on Intelligence, Emerging Threats and Capabilities. "That mission has not changed over our five-and-a-half decade history as an agency," she said, "but of course the world that we're living in has changed in that period." Today, the nation faces a wide variety of national security threats ranging from the actions of rogue nation-states to networked terrorism, Prabhakar said. All of those actors have access to very powerful technologies, she noted. The growing cost of operational military systems also poses a threat to national security, the director said. DARPA is addressing these challenges through a variety of innovative means, she said. "The classic approach to these complex military systems leads us to a place where these systems are so costly and inflexible that they're really not going to serve our needs for the next generation," the director explained. By seeking out scalable approaches for dynamically controlling the electromagnetic spectrum or distributed cooperative efforts to achieving air dominance, DARPA can help reduce the cost of future systems. "We can see the information revolution unfolding across every aspect of military operations," Prabhakar said. In response, DARPA is creating a new set of cybersecurity capabilities that will ensure that networked information is trustworthy. "We're also inventing the new tools that let us get a handle on this explosion that's happening with data so that, instead of drowning in the data we can actually get deep insights out of all of that information out there," she said. Prabhakar said DARPA also looks for research areas that are "bubbling." One of those areas is biology, she said, which is beginning to intersect with engineering. "In that research, we're seeing the seeds of technological surprise," the director noted. The flexibility to recruit and hire talented people is essential for the agency to do this kind of work, she told the committee. WASHINGTON, March 27, 2014 – The 100,000 personnel that make up the Defense Department's science and technology workforce have made remarkable achievements in the past, but that workforce is now showing the early signs of stress, the department's chief technology officer said yesterday. At a hearing of the House Armed Services Committee's Subcommittee on Intelligence, Emerging Threats and Capabilities, Alan Shaffer, the acting assistant defense secretary for research and engineering, said the effects of last year's furloughs and government shutdown, as well as the ripple effects of sequestration -- such as restrictions on conference attendance and hiring slowdowns -- have damaged the health of the workforce and the programs they execute. The department is just beginning to understand just how harmful these events have been, Shaffer said, adding that, while the department is addressing the challenges, they are still a concern. "The fiscal year 2015 budget request for science and technology is relatively stable," he said. The DOD science and technology request for fiscal year 2015 is $11.5 billion, the assistant secretary said, noting that the request is a 4 percent decrease from fiscal year 2014’s request of $12 billion. "While we continue to execute a balanced program, there are factors that led [Defense Secretary Chuck Hagel] to conclude in his Feb. 24 fiscal year 2015 budget rollout that the development and proliferation of more advanced military technologies by other nations means that we are entering an era where American dominance on the seas, in the skies and in space can no longer be taken for granted," Shaffer said. Congressionally imposed budget reductions are driving cuts to the force size, he said, but since it will take several years to realize significant savings by shrinking the overall force, "readiness and/or modernization will pay a larger percentage of this reduction bill." The nation's technological superiority is challenged by the increasingly sophisticated military capabilities that are rapidly emerging around the world, Shaffer said. "Within a fiscally constrained environment, our modernization efforts are focused on the enablers that keep our military equipment technologically superior to the emerging threat," he said. The department has adopted a strategy with three goals for research and engineering investment, Shaffer told the committee: mitigate new and emerging threat capabilities, affordably enable new or extended capabilities in existing and new platforms, and to develop technological surprise. "We have a balanced program that is yielding significant innovation across the DOD," For example, Shaffer said, the Defense Advanced Research Projects Agency "continues to deliver new capabilities that will allow the DOD to stay technologically advanced ... but we're also seeing groundbreaking capability developments in the services and agencies." While the past year has been challenging for the Defense Department's science and technology programs, the department as a whole recognizes the need to maintain technological superiority as a cornerstone of the future force, Shaffer said. "We still have the best military, defense industrial base and laboratory and university research systems," he said. "However, instability and effects of the Budget Control Act and the near-term lack of balance between force structure, readiness and modernization will increase the risk to our future force." 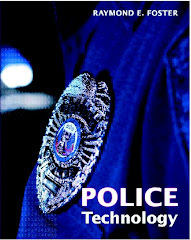 security industry manufacturers,” stated Richard E. Widup, Jr., CPP, ASIS president. operations, and opportunities for potential partnership.